How much do schools really matter? How sure are we on "what works" in education and why? Why is it that certain educational practices work better than others in improving educational effectiveness? In this book, recent research and theoretical interpretations are used in a critical analysis of the knowledge base on educational effectiveness. It offers new insights into the most promising levers for school improvement and shows future directions for educational research. In the first part of the book, concepts of school and educational analysis are defined, and various alternative perspectives discussed. The scope and range of application of the concept of school effectiveness is demonstrated by referring to empirical studies on the stability of school effects over time, the consistency of effects over grades, classrooms and subject matter areas and the generalizability of research findings across contexts. Particular attention is given to international comparative findings. The second part of the book is an assessment of the available knowledge base by means of a context analysis of instruments to measure hypothetical effectiveness enhancing conditions and a review of reviews and meta-analyses. 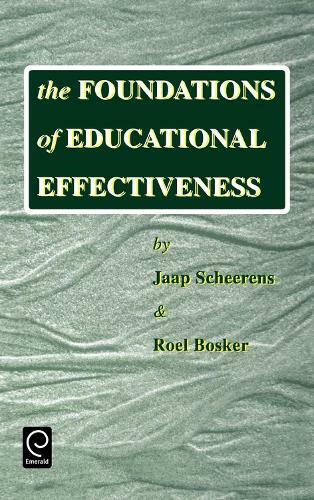 In the third part, the modelling and theoretical interpretation of educational effectiveness is the central issue, laying bare basic explanatory mechanisms that are examined for their usefulness as levers for school improvement. In the final chapter, implications for future research in educational effectiveness are examined.